Ngurra Bu Aboriginal Corporation was established in 2009. Their mission is to teach and share the oldest living culture on earth. Located at Wollombi, in the Lower Hunter Region of NSW the area is widely known as a food and wine destination. 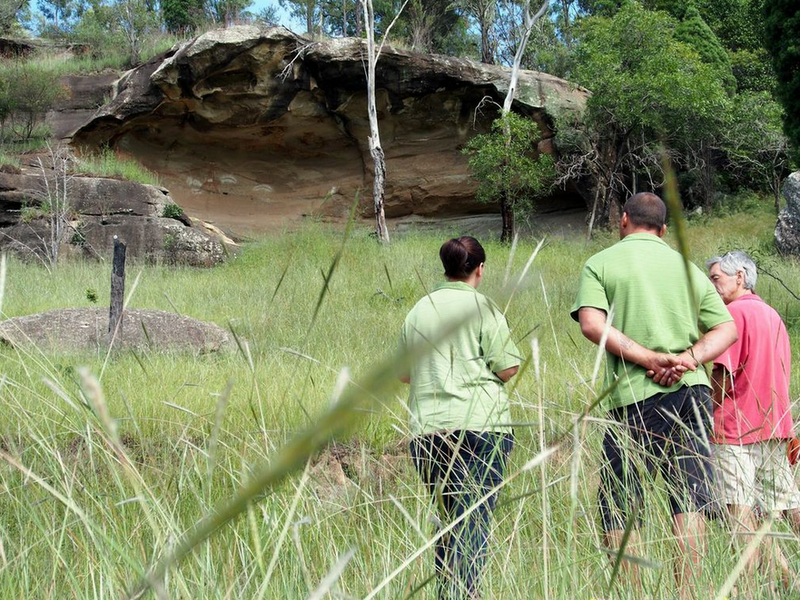 However, it is a very significant Aboriginal cultural meeting place with hundreds of Aboriginal lore sites including Rock engravings and cave paintings. Recognising the cultural tourism potential of the area Ngurra Bu began offering cultural awareness training, camps and tours to generate income. Profits from the tours are reinvested into cultural camps for Aboriginal people who have been disconnected from their community and cultural heritage to build their identity and reconnect them to community and to offering sustainable employment opportunities for Aboriginal people. A Social Return on Investment Assessment undertaken in 2010 showed that for every $1 invested into Ngurra Bu there was a $4.20 social return. The organisation is moving towards being a totally sustainable social enterprise and is now considered an important product for the NSW tourism industry. Fivegrants Consulting was very pleased to be engaged by Ngurra Bu to develop their business plans and assist in the ongoing governance of the organisation. HIGH FIVES FROM OUR CUSTOMERS! Through the delivery of The First Step, Jocelyn's ethusiasm and passion for supplier diversity and growing Indigenous business has shown. Her energy is infectious and she has brought many members from little or no knowledge to knowledgable supplier diversity champions. "...Garry is a natural story teller (and mentor) and his way of communicating the basics of what it takes and means to go into business for your self or with your family is second to none..."
"...she was brilliant and we were given more advice than we knew we needed. What we liked the most about the service was the prompt and business like approach. Jocelyn understood us and helped us to achieve more successful outcomes for our business..."
Recently Fivegrants completed development on marketing material for Awabakal Pre-School. Fivegrants recently developed Yarnteens Reconciliation Action Plan. Our consultants come to you. Good old fashioned personal service just where you need it backed by the best technology for today’s world.